Interest rates are near historic lows; for those with stellar credit, anyway. For those who have had financial issues or low down payments, mortgage rates are a bit higher. Thankfully, there are ways to lower your rate. Here are four of them. Shop around for a loan before buying your home. You can often get a better rate and grouping loan applications will not damage your credit score. If you had a lower credit score when you got your mortgage, you need to work on it. Start fixing errors on your credit report, pay off old debts, pay down credit card debt, and make current payments on time. This will help you prepare for a refi in the future so that you can get a better rate. Did you agree to a thirty year or longer note when you bought your home? It might be time to refi into a 15 year note. 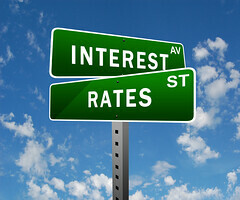 Shorter term loans generally carry lower interest rates. If you were required to carry private mortgage insurance (PMI), you may be able to drop it. Banks are required to let the insurance lapse once you have acquired 22% equity in your home, but you can drop the PMI once you have hit the 20% mark. The catch is that you have to request the coverage be dropped at the 20% mark. You can save a $100,000 or more in interest if you carefully manage your mortgage rate. With that much money at stake it only makes sense to follow these tips. Can Debt Consolidation Help Me Pay Off My Mortgage?